Sept. 6, 2018 (Press Release) - Mutares AG announced that its subsidiary Zanders GmbH has [on Aug. 31] withdrawn its application for restructuring under its own management. Prior to this, the Zanders management had come to the justified conclusion that the provisional creditors' committee, rejecting the presented restructuring concept in its own management, favoured other solutions for the creditors and the company. The decision on further proceedings will be taken by the competent court at the beginning of September 2018. Since the takeover of Zanders GmbH by Mutares AG in 2015, both sales and net profit have improved significantly as part of the turnaround strategy. Joint efforts by employees and management reduced personnel costs and opened up new business areas through investment in research and development. The site was significantly modernized to increase competitiveness and invested in a new, company-owned gas power plant to sustainably reduce operating and production costs. 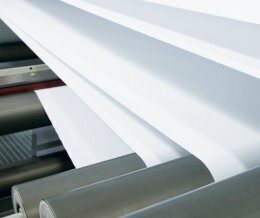 Despite considerable success, the manufacturer of high-quality specialty papers was not able to compensate for the permanently high costs for company pensions and the sharp rise in raw material prices over the last 12 months. Mutares AG (Munich, Germany) acquires medium-sized companies and parts of groups that are sold during a repositioning and have a clear potential for operational improvement.